Junkfood Science: Helping to protect children from a wrong diagnosis — How important is blood pressure? Helping to protect children from a wrong diagnosis — How important is blood pressure? With the media saturated in reports of an epidemic of childhood obesity that is purportedly a crisis because it’s led to skyrocketing health problems among our children, it’s not surprising that these two recent studies were not widely reported. But they have important information for parents and healthcare professionals who care about what’s best for children. As fat kids are being more closely scrutinized for health problems, their blood pressures are one of the measures most vulnerable to misinterpretation. The result is that countless fat children are being wrongly labeled and diagnosed as having hypertension (high blood pressure), when they don’t. You can bet if their findings had supported popular beliefs, the study would have been shouted far and wide. So, clearly that’s not what the evidence demonstrated. Instead, the researchers found that, despite the “epidemic of pediatric overweight,” there was no direct evidence to support claims that blood pressure has increased over the past several decades. They also pointed out problems with such claims, due to lack of standardized methods for measuring and defining high blood pressure in children and paucity of studies examining trends in the same populations. The second study, led by Dr. Amber Podoll, M.D., at Baylor College of Medicine in Houston, Texas, examined the inaccuracies in pediatric blood pressure (BP) measurements. The researchers evaluated the BPs obtained during standard practice at the pediatric hypertension clinic at Texas Children’s Hospital in Houston. They found 74% of the BPs taken by the clinic staff at the vital sign station were inaccurately high. When taken by medical personnel in accordance with the guidelines in the Fourth Report on the Diagnosis, Evaluation, and Treatment of High Blood Pressure in Children and Adolescents, established by the U.S. Department of Health and Human Services, the differences were significant. Systolic readings differed by about 13.2 mmHg and diastolic 9.6 mmHg. As this study was conducted at a hypertension clinic, the researchers noted that their clinic’s emphasis on BP measurements mean their readings would likely be more accurate than those found in other settings. Still, even in their clinic, the inaccuracies were significant enough to lead to substantial misdiagnosis of children with normal blood pressures as being hypertensive and exaggerations of the degree of hypertension in those with high blood pressures. These studies, as well as the body of clinical evidence, bring important information for parents and clinic staff who want to protect children from inappropriately being labeled as having high blood pressure, as well as appropriately identifying those who do. The clinic at Texas Children’s Hospital used automated oscillometric blood pressure equipment that’s become standard in most school and clinic settings today. They had the equipment carefully tested and calibrated every three months, a precaution that a number of studies have found is not taken in most clinic settings that are screening children’s blood pressures. Auscultation [listening for the Korotkoff sound with a stethoscope] remains the recommended method of BP measurement in children....Oscillometric devices measure mean arterial BP and then calculate systolic and diastolic values. The algorithms used by companies are proprietary and differ from company to company and device to device. These devices can yield results that vary widely when one is compared with another and they do not always closely match BP values obtained by auscultation. Oscillometric devices must be validated on a regular basis. Protocols for validation have been developed, but the validation process is very difficult. Besides the equipment used, its calibration and whether it’s functioning correctly, measuring blood pressures in children is uniquely difficult. Errors can come from poor technique or inattentiveness in the person taking the BP, even their own bias about what BP they expect to find. 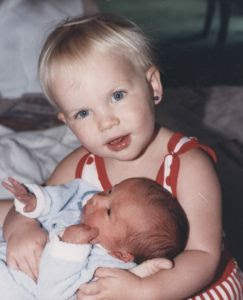 The disappearance of Korotkoff sounds are often hard to hear in children. And BP readings in children are highly influenced by things such as their level of anxiety or muscle relaxation, meals, temperature, physical activity and pain. Their posture and position of their arm in relation to the heart can even change a reading by as much as 10 mmHg. Elevated BP must be confirmed on repeated visits before characterizing a child as having hypertension. [their emphasis]Confirming an elevated BP measurement is important, because BP at high levels tends to fall on subsequent measurement as the result of (1) an accommodation effect (i.e., reduction of anxiety by the patient from one visit to the next), and (2) regression to the mean. 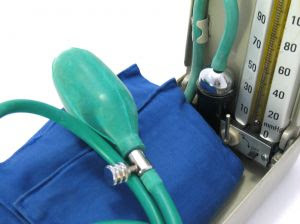 BP level is not static but varies even under standard resting conditions. Therefore, except in the presence of severe hypertension, a more precise characterization of a person’s BP level is an average of multiple BP measurements taken over weeks to months. The importance of multiple readings in getting accurate readings in children and adolescents was further highlighted by pediatric nephrologists, Empar Lurbe and José Luis Rodicio, in a recent European Society of Hypertension Scientific Newsletter: Update on Hypertension Management. They noted that blood pressures tend to normalize on subsequent measurements as children become accustomed and more comfortable with the procedure. Based on one office visit, statistically, 5% of children had BP measurements labeling them “hypertensive,” but after only one additional examination, the prevalence dropped to a mere 1%. Using a BP cuff that is appropriately-sized for the length and circumference of the arm is the single most critical variable, especially when taking BPs among larger children and adolescents. There is consistent and abundant research finding that BP readings are overestimated when inappropriately small cuffs are used, resulting in strikingly more fat children and adults being mislabeled as hypertensive. There is a growing concern, especially in today’s targeting of health risk factors by government and insurers, that an incorrect label on a medical record will forever follow them. The classic study in Lancet, in which nurses specialists obtained 84,000 BP measurements on 1,240 obese people, found that more than a third had been misdiagnosed as hypertensive yet actually had normal blood pressures when the right size cuff was used. Clinical studies continue to report such discrepancies and recommend careful control for cuff sizes in research. Yet, surprisingly, most studies examining blood pressure in fat children fail to control for cuff sizes, even many reporting higher readings in fat children. 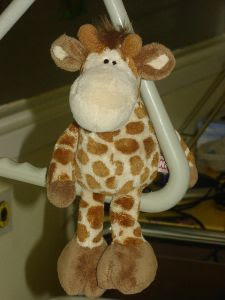 The Texas Children’s Hospital clinic staff were instructed on the appropriate cuff size to use when taking the children’s blood pressures, yet there was no monitoring as to if appropriate cuffs were selected during the 580 office visits. Other researchers have found that “normal blood pressures” among children of different ages depend on the cuff used and different cuff sizes explain some of the differences between studies. The problem is accentuated, according to a study by doctors at Wayne State University School of Medicine,Detroit, Michigan, by cuff size recommendations that are controversial, often ambiguous and inconsistent among agencies and varying interests. The criteria used can lead to radically different cuff size selections. In general, the labeling that appears on pediatric BP cuffs as “infant, pediatric, small adults, adult and large adult” are misleading, they said. There is also no standardization in sizes among different manufacturers. Using arm length in determining cuff size, for example, a large adult cuff would be appropriate for an average-size 6 year old child. Despite varying guidelines, the Wayne State researchers found that majority of healthcare professionals didn’t know or follow any published guidelines for arm cuff selection. Of all that is known about the levels and distribution of casual blood pressure (BP) in childhood and adolescents, two facts are well accepted: blood pressure increases during growth and maturation, and adolescence is a fast growth period during which body mass and BP change rapidly. “The definition of hypertension in childhood is essentially arbitrary, based on age-specific percentile,” according to Dr. Carolyn DiGuiseppi, M.D., Ph.D., and epidemiologist and associate professor at the Department of Preventive Medicine and Biometrics at the University of Colorado Health Sciences Center in Denver, Colorado, in a review of the evidence on hypertension screening for the U.S. Preventive Services Task Force. The Fourth Report defined hypertension in children and adolescents as BP greater than the 95th percentile, with stage one being 95th percentile plus 5 mmHg and Stage 2 the 99th percentile plus 5 mmHg. These cut-offs are based on BP tables developed using the CDC’s recent new BMI growth charts and demographic information from NHANES 1999-2000. Those tables demonstrate how easily the tiniest error in a blood pressure reading, such as those we’ve discussed, can tip a child into being misdiagnosed as hypertensive. For example, there is a difference of one mmHg between the 90th and 95th percentile for systolic BPs among boys at every age. And the definitions for normal BP, increases at each year of age by a mere one or two mmHg, leaving little room for error. Yet, as we’ve seen, BP readings are imprecise. In this month’s study, for example, the average systolic readings differed by 13.2 mmHg due to inaccuracies! The detection of childhood hypertension is important because hypertension is frequently related to an identifiable and potentially treatable disease process, while untreated severe hypertension in childhood is associated with significant morbidity and mortality. Despite the media’s portrayal of obesity as being the leading cause of hypertension in children and teens, the facts tell a different story. The most common causes of actual hypertension in children and teens are kidney diseases (renal parenchymal and renovascular disease). In babies, congenital renal disease, coarctation of the aorta (a birth defect of the aorta) and bronchopulmonary dysplasia (a lung problem mostly seen among premature babies born before their lungs are fully developed or with lung infections) are among other common causes. “Renal parenchymal disorders with renovascular disease, and coarctation of the aorta account for 70% to 90% of all cases [of hypertension in children],” they said. Still, these conditions among the general population of kids are relatively rare. 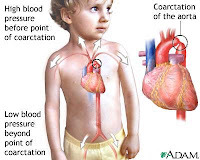 The incidence of coarctation of the aorta, for instance, has been estimated at 0.02-0.06% and the prevalence among children is at 0.01 to 0.05%, according to Dr. DiGuiseppi. In these cases, there is no doubt about the marked hypertension, nor that these small numbers of children substantially benefit from early detection and the definitive cures available. Other causes can include the side effects of prescription medications and less commonly, tumors and central nervous and endocrine disorders, said Drs. Lurbe and Rodicio. 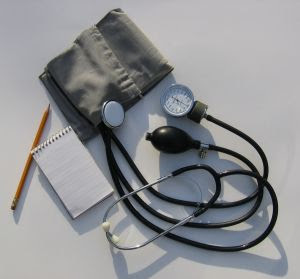 When children start to enter their teen years, then “essential hypertension” begins to appear. This is a fancy term to mean the cause is unknown, although according to Drs. Lurbe and Rodicio, genes have been demonstrated to explain 40% of the BP variance among people. The medical conditions for which pronounced hypertension is a symptom among certain children, and the fact that medical care is necessary and life-saving, is very different from suggesting some benefit in early detection of hypertension in children, said Dr. DiGuiseppi. “There is insufficient evidence to support routine screening solely for this purpose.” There is no evidence that identifying hypertension in children achieves clinical benefit later in life, especially when weighed against the adverse effects of widespread testing and treatment, she noted. We all want to protect children from as many health problems as is reasonably possible, however, increasingly we are falling for the precautionary principle and being led to believe that if very high measures are dangerous, then any level at all must be harmful, too. Never mind that the precautionary principle is especially popular with vested interests hoping to create alarm — a fact that should alert us to be especially cautious to look carefully at the facts — it is the evidence that matters. In the call to protect our children from any possibility of harm, the levels considered safe for many health indices are being steadily lowered into normal ranges, without any evidence that these smaller variations put children at increased risk or that treating them will improve their health outcomes. As the latest review of the evidence on “Screening for High Blood Pressure” conducted by the U.S. Preventive Services Task Force noted, the potential benefits of screening and treatment depend on the degree of BP elevation — in other words, the evidence is most supportive of the merits of treating extremely high levels. The risks associated with lesser numbers are not the same. They found no evidence to support increasingly more aggressive BP management goals. They also pointed out that the benefits of treating the causes of hypertension do not equate with the degree of BP reduction — in other words, treating the numbers isn’t what matters, but the actual clinical conditions. Let’s go back to the idea being popularized among vested interests, that fat children whose blood pressure measurements fall over new arbitrary limits for their age by a few mmHgs are in danger and in need of intervention to prevent heart disease. As is being promoted among several organizations, including the U.S. Dept. of HHS, weight reduction is the primary intervention for fat children with hypertension, with the belief that it will prevent excess increases in blood pressure. Most objective experts don’t agree the evidence in any way supports such recommendations. As we’ve discussed here, the U.S. Preventive Service Task Force concluded after its extensive review of the evidence on overweight and obesity in children and adolescents, there is no quality evidence that any weight interventions improve health outcomes or physiological measures, including blood pressure. Do healthy asymptomatic children who are identified as hypertensive on routine examination, but who have no underlying recognizable disease, have an increased cardiovascular risk? Should these patients be treated early, based on BP value alone? The consequences of hypertension detected in childhood and adolescence remain largely unknown because no long-term outcome data are available to relate childhood hypertension to increased cardiovascular risk in adulthood. While it may seem intuitively correct to do so, the latest review of the evidence on “Screening for High Blood Pressure” conducted by the U.S. Preventive Services Task Force concluded that the evidence is insufficient to recommend routine screening for high blood pressure in children and adolescents to reduce their risks for cardiovascular disease. · They also found poor evidence to support claims that blood pressure measurements in children and adolescents identify those at risk of later developing heart disease. · And they found the evidence poor to support claims that treating elevated blood pressure in children or adolescents decreases the incidence of cardiovascular disease. Absent in most recommendations are careful weighing of the balance of benefits with the harms of routinely screening for high blood pressure. A correlation was noted: People with high BP are more likely to develop heart disease. The correlation was turned into a causation: Therefore, high BP causes heart disease. The causation was then reversed: Therefore, lowering BP will prevent heart disease. His concepts may sound incredible, yet he provides a fascinating, logical explanation in an entertaining and rather snarky essay here, that offers viewpoints most of us have never stopped to consider. He deconstructs the belief that there is quality evidence that’s proven the idea that lowering BP will prevent disease and goes on to explain how we’ve been led so astray, even down to changing definitions and the statistical modeling created to show a linear relationship between death and blood pressure, and the flawed science behind some of the most popular fears about blood pressure. The take home message in all of this?